It’s almost Valentine’s Day! 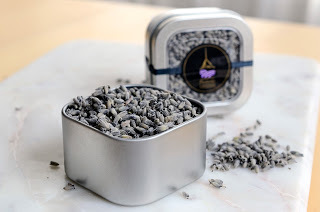 Whether you’re spending it with your sweetie, celebrating with your friends, or planning the perfect 'Me Day' – nothing says "love" like making a lavender-infused gift with your own creative hands. Madeleines, the Classic French Tea Cakes are baked in special molds that give them a delicate shell shape. The name 'Madeleine' was given to these delightful tea cakes by Louis XV to honor his father-in-law's cook Madeleine Paulmier. Madeleines infused with divine organic culinary lavender flowers and heavenly Meyer Lemons are truly delicious, very easy to make and a beautiful Valentine’s Day gift. Madeleines are best eaten the day they're baked. Though 3-5 days old Madeleines are wonderful too, when dunked into coffee, espresso and even wine. However you enjoy them, gift yourself by making some. Culinary Lavender Tip: always use high grade organic culinary lavender such as Pelindaba Lavender's Organic Culinary Lavender. It's sweet, aromatic and delightful, which will make your baked goods even heavenlier! Butter and flour 12 (3 inch) madeleine molds; set aside. Using electric mixer or a mixing bowl, at high speed beat spelt pastry flour, almond flour, sugar, almond milk, lemon juice and melted butter until the mixture is creamy and smooth. 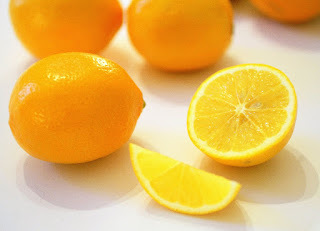 Add lemon zest and lavender flowers and beat for additional 2-3 minutes until they are well blended. Spoon 1 Tbsp. batter into each mold. Bake for 15-17 minutes, or until cakes are golden and the tops spring back when gently pressed with your fingertip. Use the tip of the knife to loosen madeleines from pan if necessary; invert onto rack. Let it cool for 5-10 minutes if you want to eat them right away. For packaging as gifts, let them cool for at least an hour.